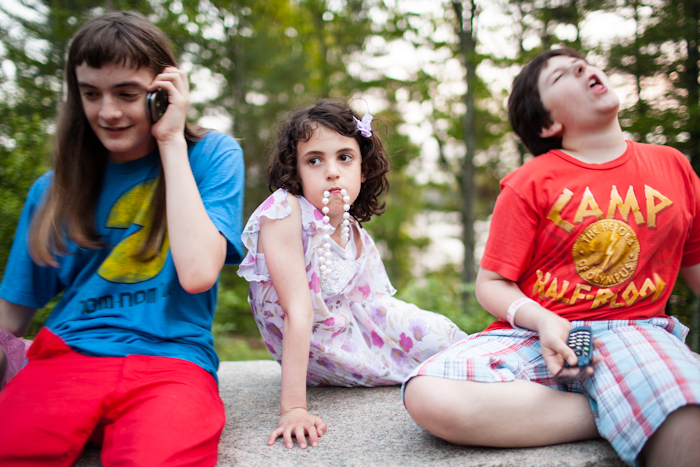 Camp You Are You (whose name has been changed to protect the privacy of the participants) offers a temporary safe haven where gender nonconforming children can freely express their interpretations of femininity alongside their parents and siblings. When together, they are supported to be true to their inner nature. They may don wigs, high heels and gem-encrusted tiaras unburdened by fear of bullying and discrimination. This body of work speaks out against intolerance while sharing with the viewer the beautiful spark of these children. I intend for the essay to serve as a guidepost for parents and the general public who struggle with their own uncertainties and prejudices with regard to the gender unique population. This is a place of acceptance. A place which can serve as a model for a society in which the first generation of children able to lead an openly LGBT childhood will come of age. Lindsay Morris lives and works in Sag Harbor, New York. To view more of Lindsay's work, please visit her website.